James Henderson, VP of Innovation, is a proficient management professional with over 15 years of experience in health care data management and business operations. He has successfully managed all aspects of enterprise-wide health care solution development including analysis, design and deployment of stand-alone, and n-tiered Web-based and Client/Server software applications. His skills include needs planning, team building, project management, resource allocation, and staff management. 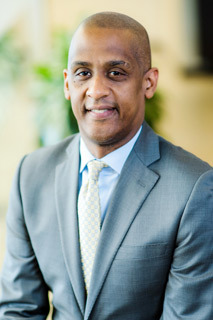 His relevant experience includes Medicaid Management Information Systems (MMIS), managed care information systems, data warehouses, electronic health records and other large-scale data management projects. Prior to joining ILS, James was the Physician Service Manager for PCA Humana Health Plans in Miami, Florida. He was responsible for a wide range of data management activities related to physician networks including the development of systems to integrate utilization, quality improvement and financial data into provider report cards. Later in 1996, he served as Chief Technology Officer for eHDL in Miramar, Florida where James directed a team of software engineers, database administrators, network technicians and operations staff to plan, architect, and develop enterprise software solutions for the health care market place. James earned a Bachelor’s degree from University of Edinburgh and a degree in Project Management from the Project Management Institute.